In this article, I will list the different colognes that I personally wear. Every guy should wear cologne; I have a few different colognes that I wear on different days. 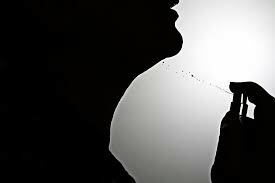 I am constantly told by woman that I smell nice, there is no denying it, smelling nice by wearing the right cologne is attractive. I know what you’re thinking.. “yeah yeah a cologne won’t do that much for increasing my attractiveness blah blah” but think of it like this, imagine if you were cloned, two identical versions of yourself, one wears cologne, one doesn’t, who is going to get more success with girls and life? Who is going to get a better impression from strangers in general? And besides being more attractive, you should just wear a cologne because it doesn’t hurt to smell nice on a daily basis! You don’t want to overdo it though; a few sprays will go a long way! What I like to do is spray on each side of my neck, and on each wrist, the heat in these areas activates the cologne. Here is a list of colognes I personally own, I have received compliments on how I smell with all these, they are high in quality and will last all day, the links are affiliate links which link to amazon which has great prices for all these and I will get a small commission to help my site so please buy from these links. ARMANI CODE BLACK!!! This is my all time favorite, I have been wearing this one since I was 17. it smells awesome! 1 MILLION. The girls really love this one, it has a unique playful smell. LACOSTE IN RED. This is my second favorite, It has a really nice playful smell, good to wear during the day or night. ISSEY MYAKE. I was given this one as a birthday present and I love it! It has a nice classy smell, I will usually wear this to a more formal event but you can wear it anywhere. HUGO BOSS. I was given this as a birthday present aswell and I love it, has a classy smell. AQUA DI GIO. This is another popular one, smells great!